Last December – for G’s birthday, just before we flew home, we went to Rhodes Twenty10 for have a mini-celebration. Glad we did. 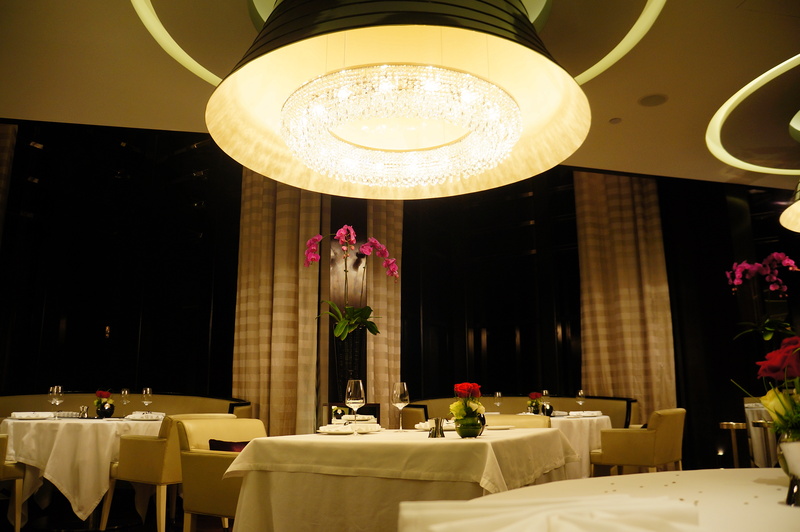 The interior is classy, and intimate. It’s located far into the east wing (?) i.e walk in main doors of LRM and turn left. 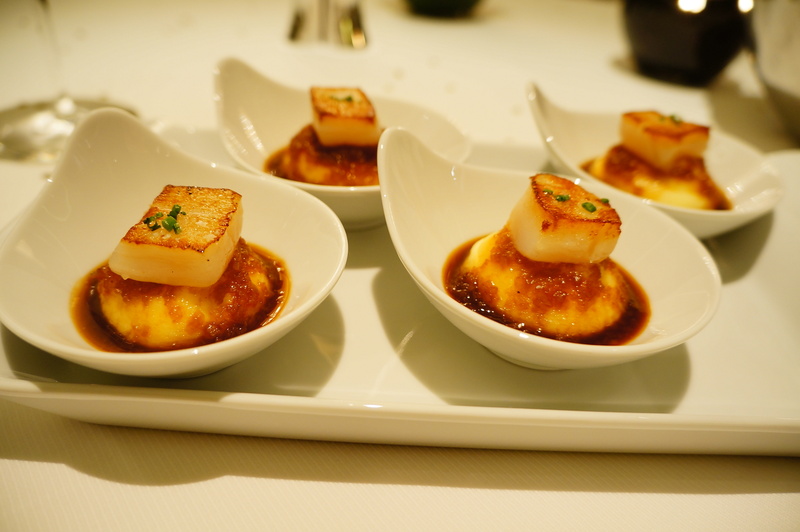 We started with Seared Scallops, served with creamy mashed potatoe and devilled sauce (55 AED). We expected the staff to come out with two tiny scallops and a blob of potato splashed with a few droplets of sauce to make it look good. Pretty surprised, to get this. And boy, was it devine. 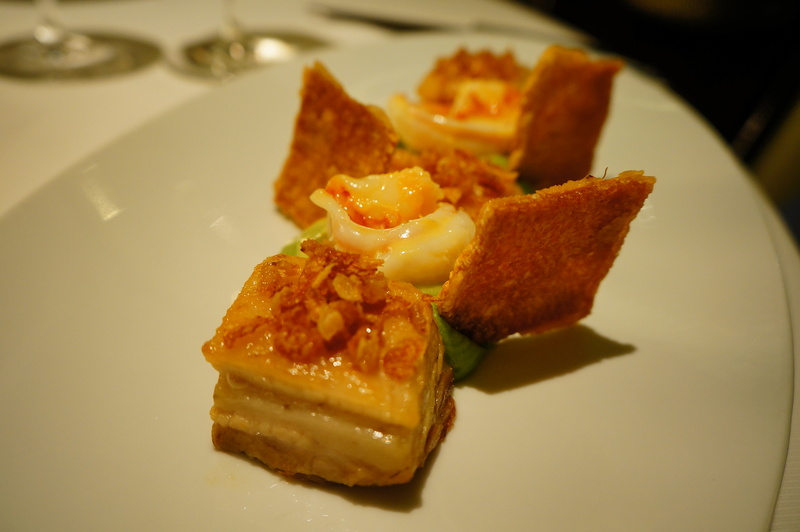 Next, for mains, G opted for Confit pork belly and tiger prawns (160AED). Everytime we go to a restaurant, we get so excited to see that they serve pork. Either of us always order at least one dish of pork 😉 And when we saw pork belly – sold, in an instance. Rhodes’ dish was exquisite. Sometimes you look at the menu, the price, and then you see what comes out looks quite pretty but not so with taste. This, was absolutely delicious. 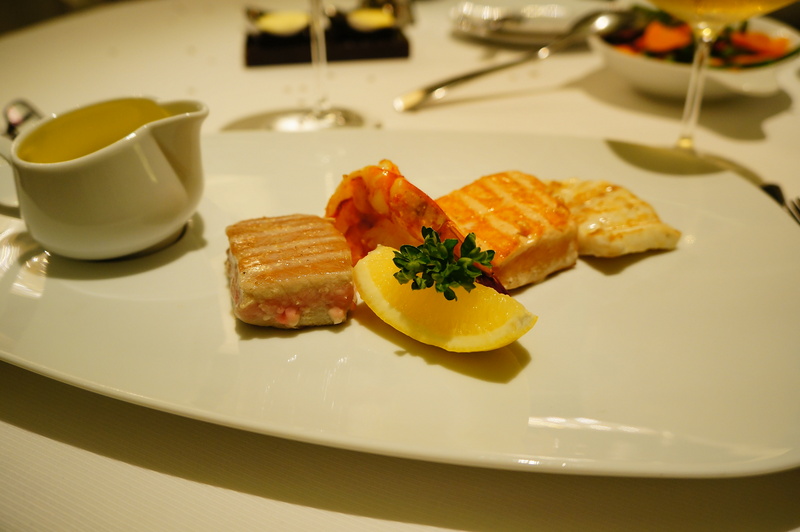 I, went for Seafood mixed grill (180AED) – grilled tuna, irish turbot, scottish salmon and a king prawn. I know it looks fairly small and simple in this photo but it was too be honest really quite filling – and, good. 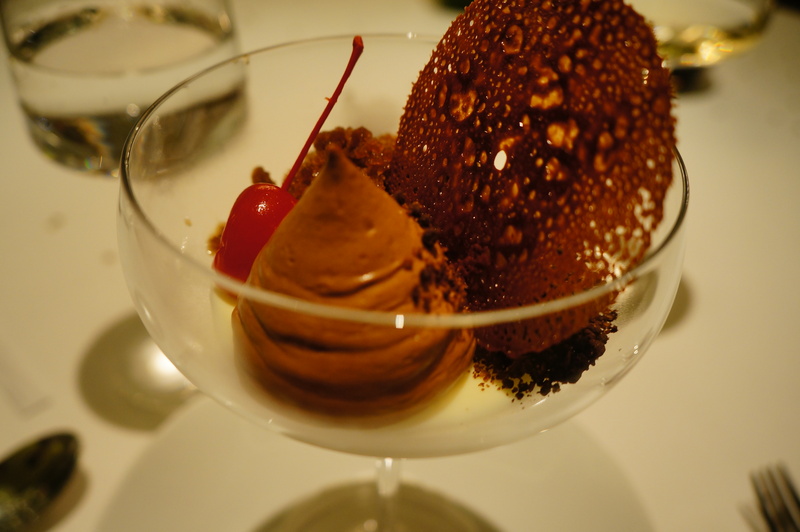 And so we finished the night with warm chocolate fondant and salted. I highly recommend the seared scallops and pork belly. For my review on the resort itself, click here. Haha it looks tiny but it’s really very filling!